According to an FDA alert, dogs developing dilated cardiomyopathy that are not typically prone to the disease have 1 thing in common—they’ve been fed diets containing legumes, lentils, and potatoes as the main ingredients. As previously reported by American Veterinarian®, there is a notable discrepancy between the types of pet foods veterinarians and pet owners believe to be healthy for dogs and cats. For instance, when asked whether low- or no-grain diets are healthier for dogs, 46% of pet owners said yes, while 63% of veterinary professionals said no, according to a survey conducted by the Association for Pet Obesity Prevention. Similarly, 63% of pet owners said corn was not healthy for dogs, but 50% of veterinarians said it was. Could a gap in knowledge become detrimental to pets? 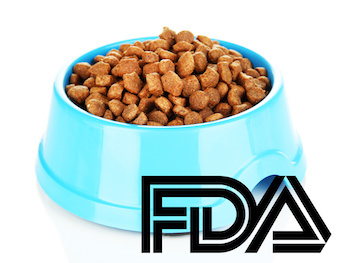 Today, the FDA released a warning to veterinarians and pet owners about reports of dilated cardiomyopathy (DCM) in dogs eating pet foods that contained peas, lentils, legume seeds, or potatoes as the main ingredients. It is not yet known how these ingredients are linked to cases of DCM. The reports raised a red flag because DCM is occurring more frequently in breeds that are not considered genetically predisposed to developing the disease, including golden retrievers, Labrador retrievers, whippets, a Shih Tzu, a bulldog, miniature schnauzers, and mixed breeds. The medical records for 4 of the atypical DCM cases—3 golden retrievers and 1 Labrador retriever—revealed that the dogs had low whole blood levels of taurine, which is documented as potentially leading to DCM. The FDA’s Center for Veterinary Medicine and the Veterinary Laboratory Investigation and Response Network are investigating this potential association. According to the FDA, early reports from the veterinary cardiology community indicate that the dogs ate these foods consistently for time periods ranging from months to years. In an article that originally appeared on the Cummings School of Veterinary Medicine at Tufts University’s blog Petfoodology, Lisa M. Freeman, DVM, PhD, DACVN, recalled a recent patient that was diagnosed with DCM at the school’s hospital. Upon further evaluation, it was discovered that the 4-year-old beagle-Labrador mix had been fed a grain-free pet food that contained kangaroo meat and chickpeas. While the investigation is ongoing, the FDA is encouraging pet owners and veterinary professionals to report cases of DCM that may be linked to a dog’s diet by using the Safety Reporting Portal.